For use with Aquascape MicroSkim for easier pump intallation. This plumbing assembly allow the easy junction between the pump and the Kink-Free Piping that are used in the MicroSkim. 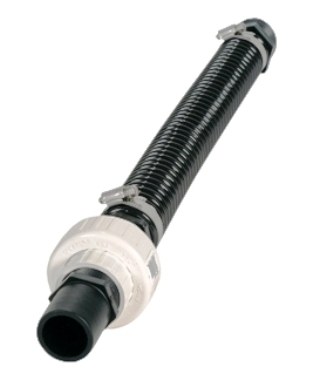 The easy to turn coupler allows for easy pump removal for service or storage while leaving the piping intact.